Donald Macleod considers the most creative period of Berwald's life - when he composed his symphonies, regarded as his lasting legacy. Donald Macleod considers the most creative period of Franz Berwald's life, during which he composed the symphonies which are his lasting legacy. 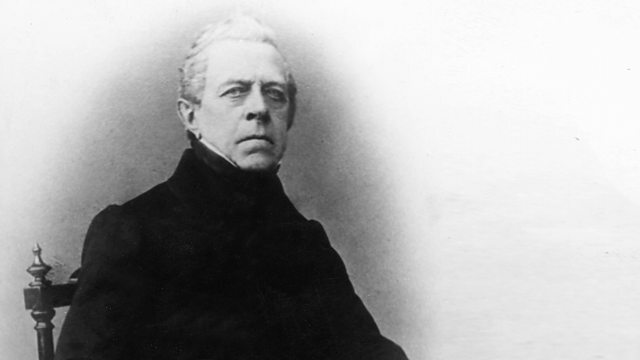 It was only after his death that Franz Berwald acquired his reputation as Sweden's great symphonist. During his lifetime his music was largely dismissed or ignored. To make ends meet he pursued several other careers alongside composition and proved to have a sharp business mind. He made a living as an early physiotherapist, dabbled in publishing and ran a saw-mill and a glass works. Once, when he was asked if he was a composer his reply was "No, I'm a glassblower". Both the man and his music were often misunderstood. We now appreciate his musical legacy, particularly his symphonies and opera overtures, his tone poems and his music for violin. But relatively little of his music was performed in his own lifetime - and that which was performed was sometimes badly received and reviewed. A reputation for arrogance and reserve probably didn't help either and he was outspoken in his criticism of the Swedish musical establishment. Yet he was also capable of great generosity to friends, students, and even to complete strangers. Donald Macleod tells the story of a composer whose work was too often neglected in his own lifetime but who was eventually hailed in Sweden as "our most original and modern orchestral composer". By the late 1830s, Franz Berwald had made a name for himself in Berlin - but not as a composer. Soon after he wrote his tone poem Serious and Joyful Fancies he had put aside his music to establish a very successful orthopaedic institute - a treatment at which he proved to be a skilled practitioner. However, by 1841 he was ready to embark on a new lease of life. He married Mathilde Scherer, who at 24 was nearly half Berwald's age, and the couple moved to Vienna where Franz once again took up music. Donald Macleod recounts the most creative period of Berwald's life, the years in which he composed his four symphonies - only one of which he would actually hear in his lifetime. Orchestra: Gavle S O.. Conductor: Petri Sakari. Orchestra: Gothenburg S O.. Conductor: Neeme Järvi. DEUTSCHE GRAMMOPHON : 415-502 2. Orchestra: Malmo S O. Conductor: Sixten Ehrling.